The Face the Race mentoring program was created in 2007 with the objective of increasing self-esteem in teenage girls (ages twelve to fourteen), a crucial time in a young girl’s life. 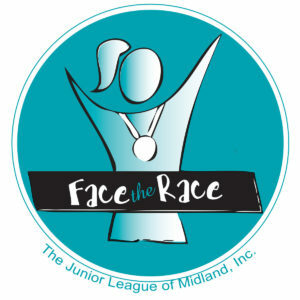 Face the Race is an 8-week after-school mentorship program for junior high girls, held at all four Midland ISD junior high schools. Mentoring sessions include a snack, a fun ice-breaker with mentors and participants, and a speaker from the community on a variety of topics including physical ­fitness, goal setting, women’s health and wellness, self-esteem, and career education. Each session wraps up with the Junior League mentors and participants training for the Face the Race 5k together. Each young lady who completes the program receives a pair of running shoes and running gear to be used at the race and beyond as well as walks away with priceless relationships and friendships, valuable education, and the accomplishment of achieving a goal.